A work skills opportunity that began percolating last year for students in the St. Lucie Public Schools (SLPS) Exceptional Student Education (ESE) program is brewing again this year with bold expectations. 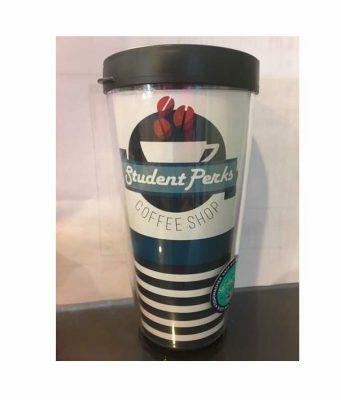 On Tuesday, November 28, the student-run enterprise known as Student Perks will begin selling coffee, pastries, fresh fruit, and signature brand tumblers in a kiosk on the first floor breezeway of the Board of County Commissioners Administration Building located at 2300 Virginia Avenue in Fort Pierce. Taylor and others who work with the students in the program laud the Board of County Commissioners and staff members in the Board of County Commissioners Administration Building for their support. She indicated that while participants in the Student Perks program receive support from a SLPS Job Coach, there is no better practical application of a skill than to use it when authentically interacting with customers. All proceeds from the coffee shop will offset Student Perks’ expenses. For information, contact SLPS Job Coach Martha Taylor at 772-370-0891 or SLC Human Resources Manager Douglas Baber at 772- 462-5267.